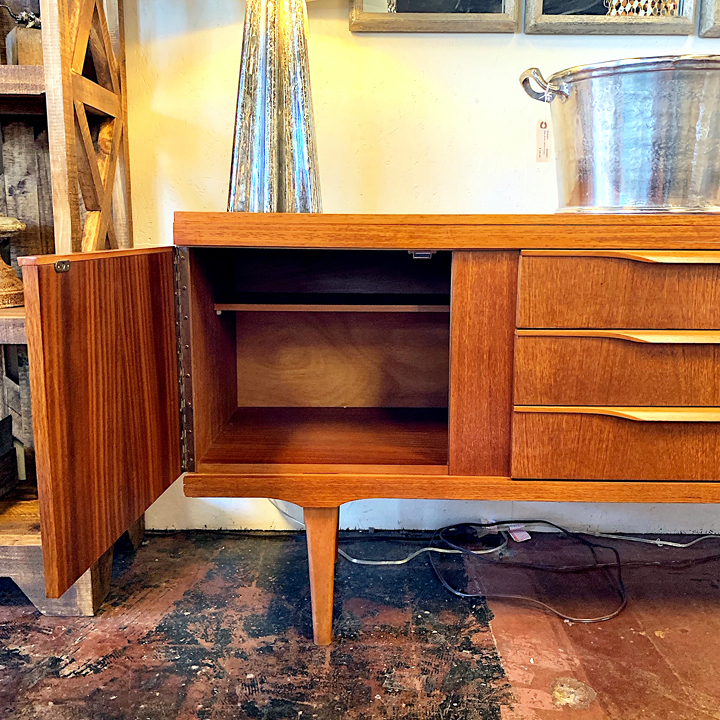 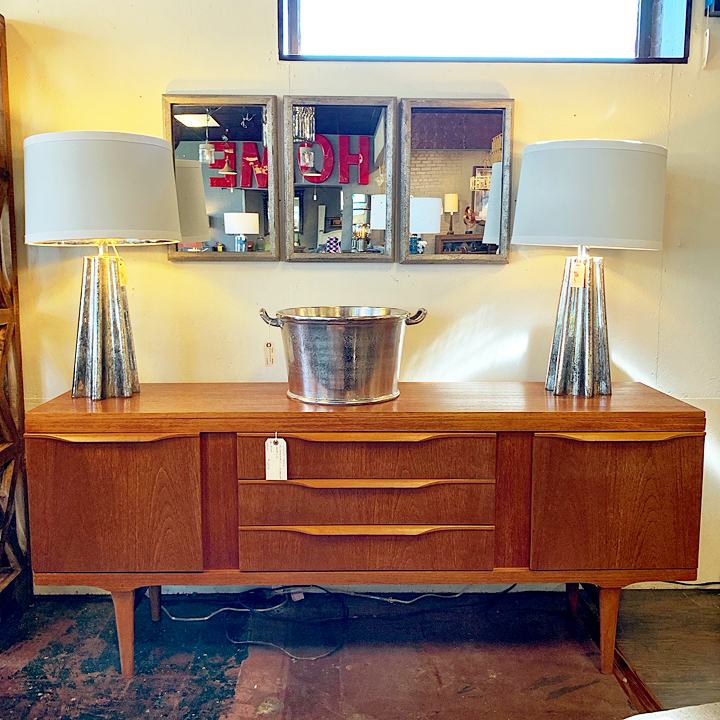 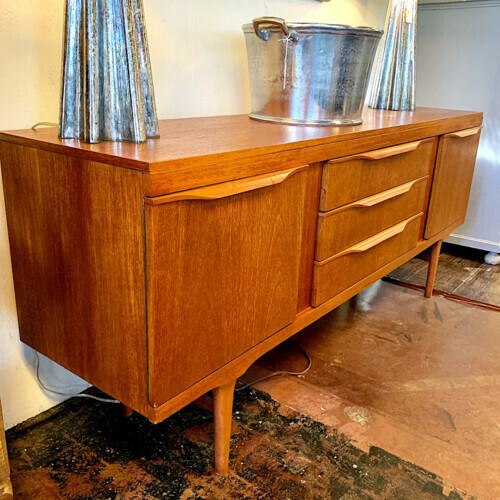 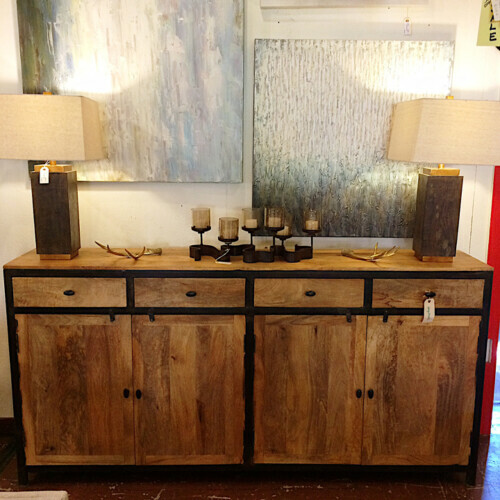 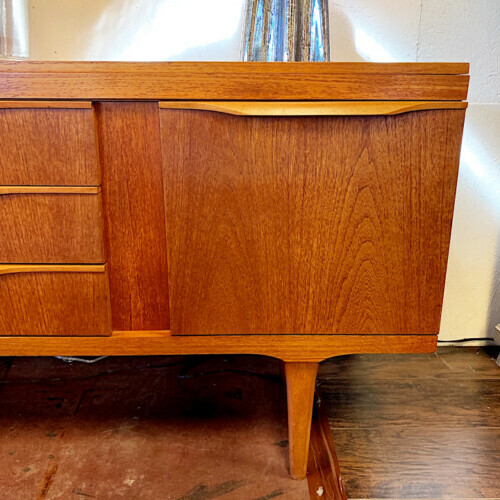 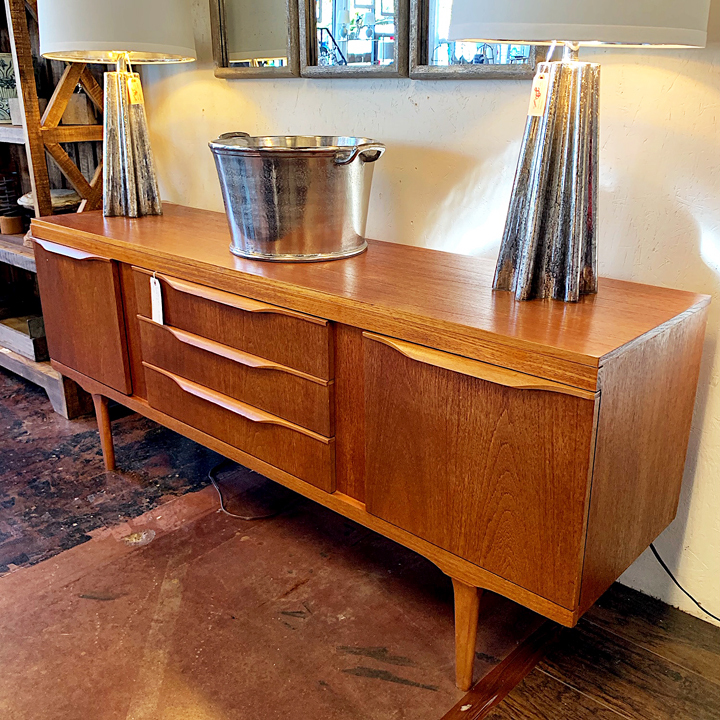 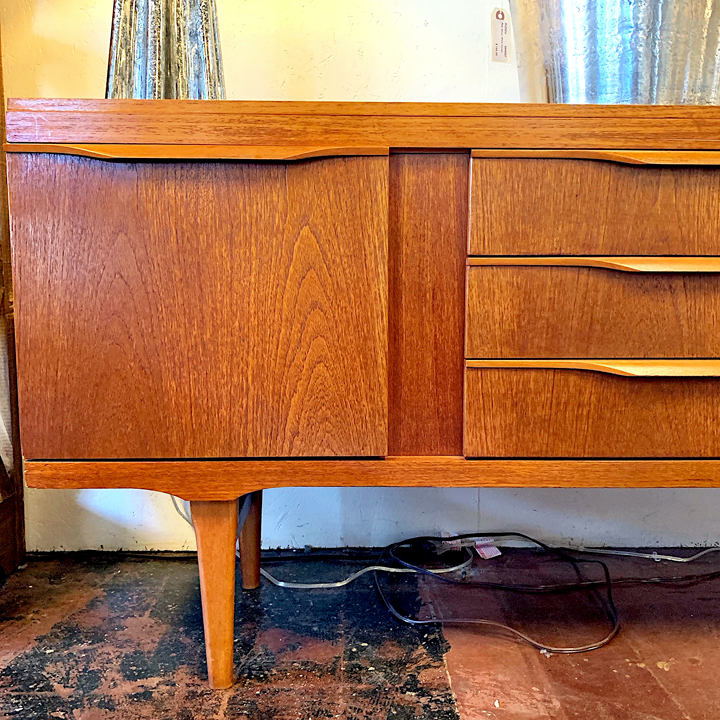 Featured here is a beautiful Mid-Century Modern sideboard that we imported over from a buying trip in Europe. 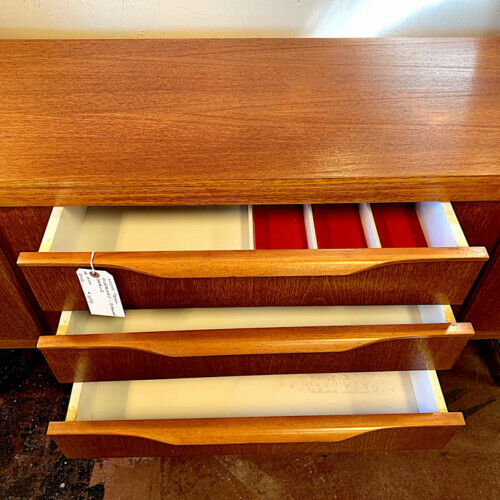 This sleek looking teak wood unit sits on tapered legs, has a door on each side with shelving behind and three drawers in the middle (the top with a red felted utensil divider). 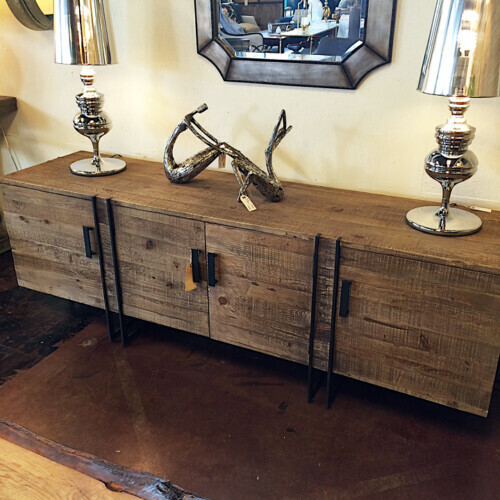 This unit provides plenty of storage and display options. 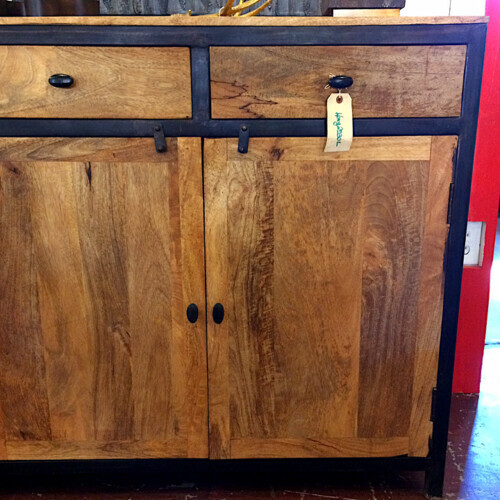 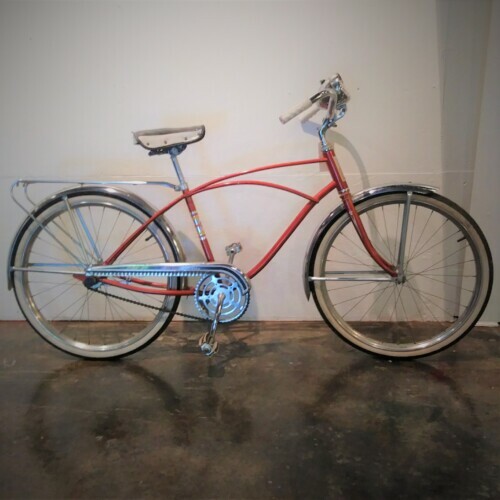 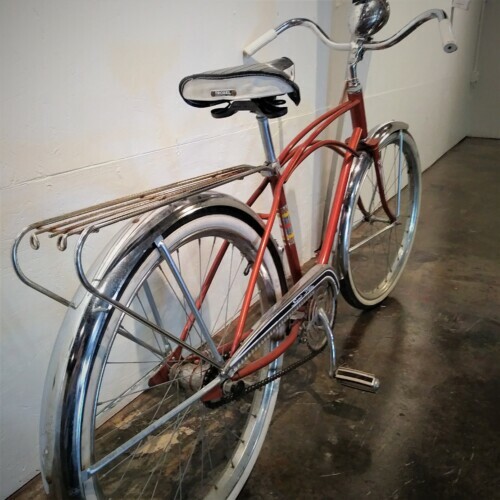 Would look amazing in any home! 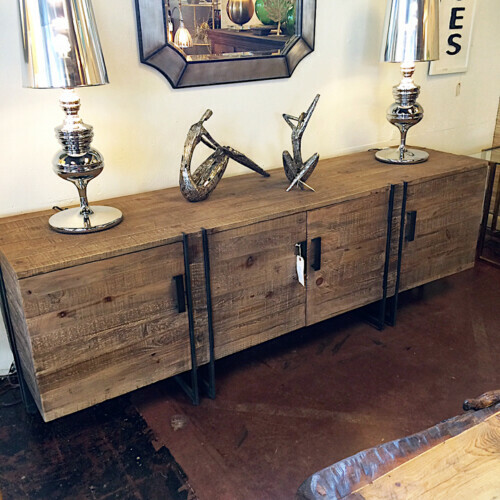 Measures approximately 68″ Wide x 17.25″ Deep x 29″ Tall.